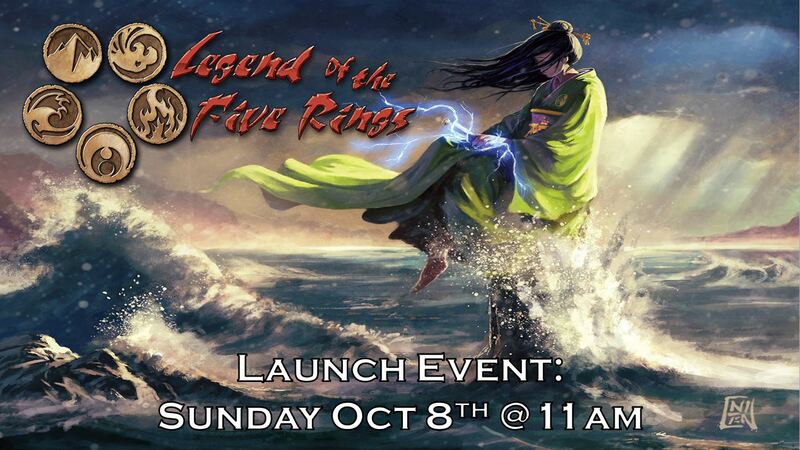 Join us on Oct 8th for an official Launch Event for Legend of the Five Rings LCG. A lanyard, badge, and clan sticker sheet. Create your samurai name and show your clan loyalty! Seven random participants will receive a textless, extended art clan champion prize card.